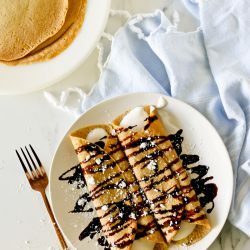 *This post was originally seen on Craftberry Bush, where I contribute. 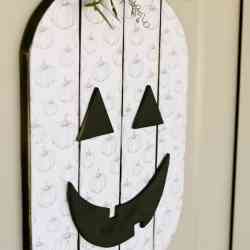 It never ceases to amaze me to think of all the fun things you can do with a single pumpkin. They really are perfect just the way mother nature makes them, but a true maker simply can’t resist to put their own spin and personality to this cute round member of the squash family. 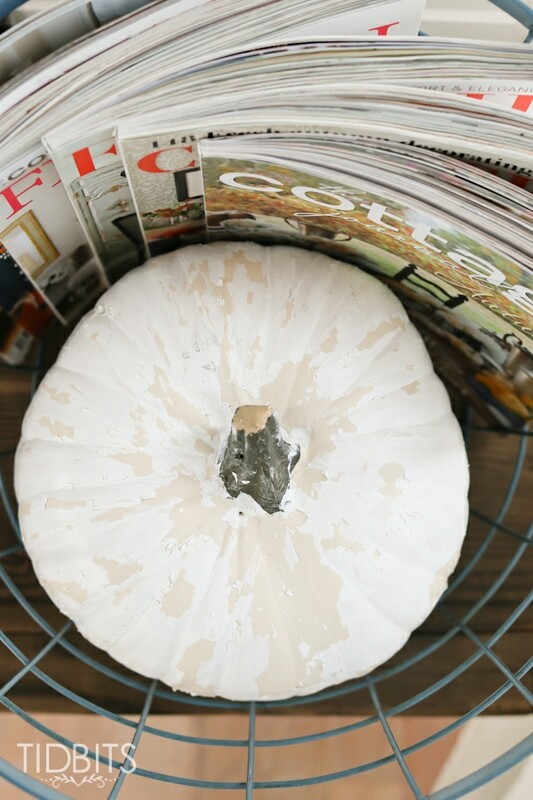 It’s no secret that I have a special love in my heart for all things vintage and chippy, so I decided to try and experiment with a pumpkin to see if I could make them look vintage and chippy too. 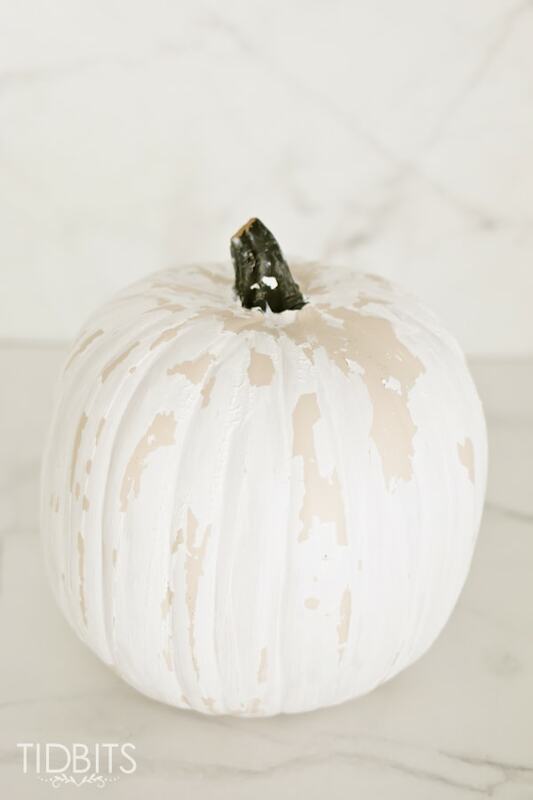 I think you’ll be surprised at the oh-so-simple method I used to chip the paint off the pumpkin, to create this perfectly vintage appeal. 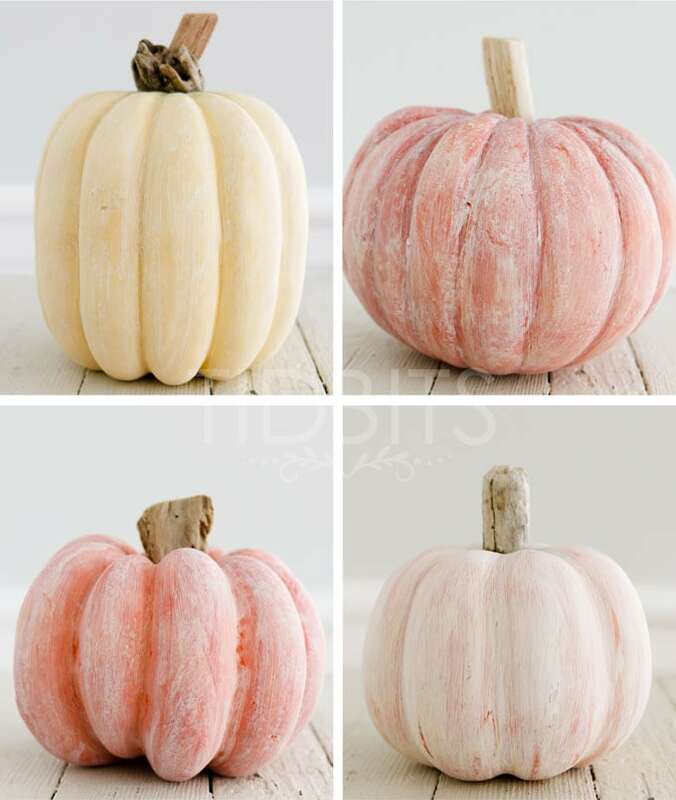 Last year I had a blast using a white-wash technique to create coastal pumpkins with a driftwood stem. But as my living room has taken on a more vintage look, I thought it would be fun to try something different this go around. 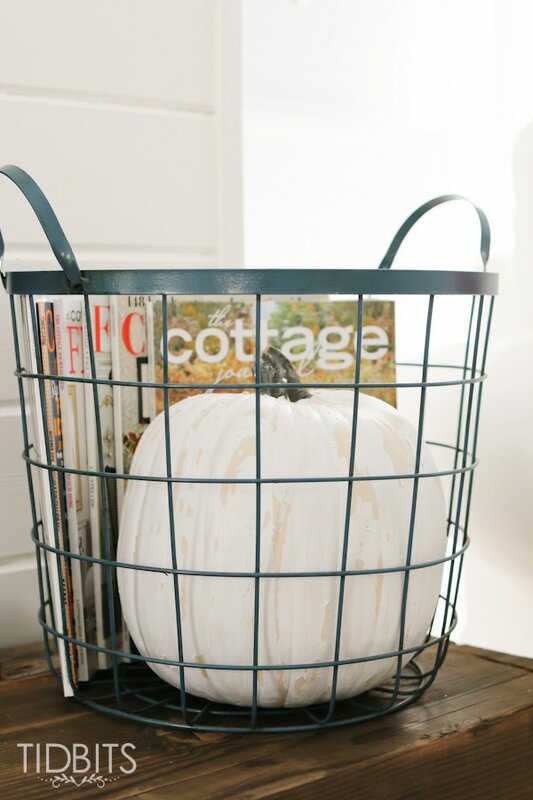 I’ve enjoyed placing these chippy paint pumpkins here and there, including in a magazine basket all cozy by the fireplace. And nestled closely by its like minded, chippy paint French sofa. 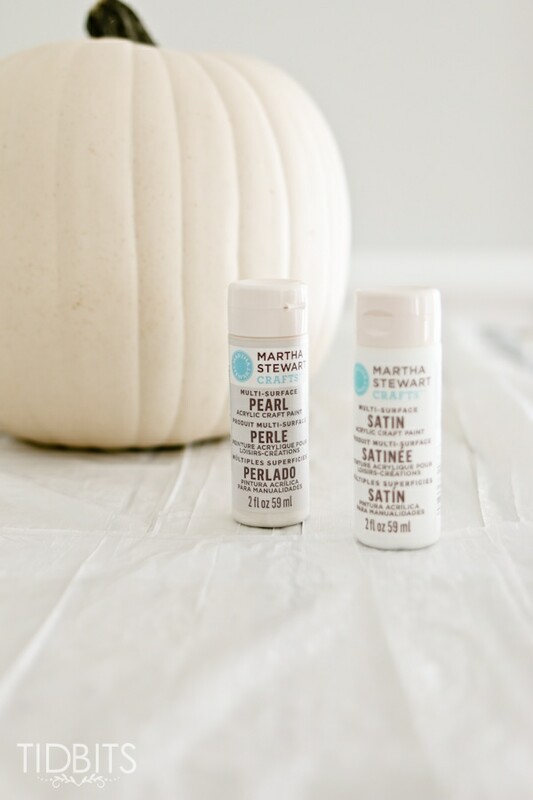 You’ll have to be sure to head over to TIDBITS to see my Fall Living Room home tour tomorrow so you can see the rest of this space all warmed up for the season. 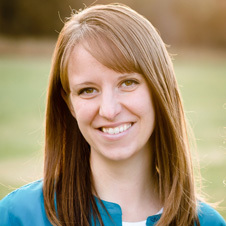 And be sure to subscribe so you don’t miss my other seasonal home tours and crafts. 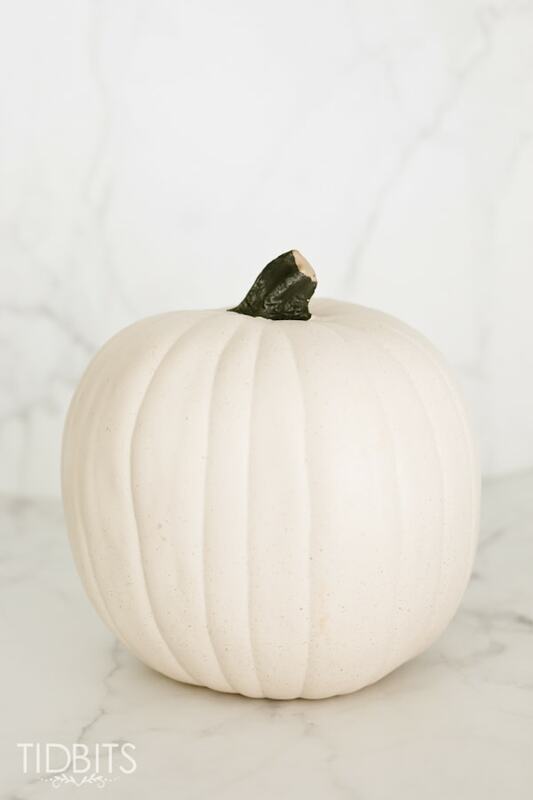 Now, let me show you how easy it is to make your pumpkins paint chip off perfectly for a very authentic chippy paint appeal – no sandpaper or tricky chemicals needed! 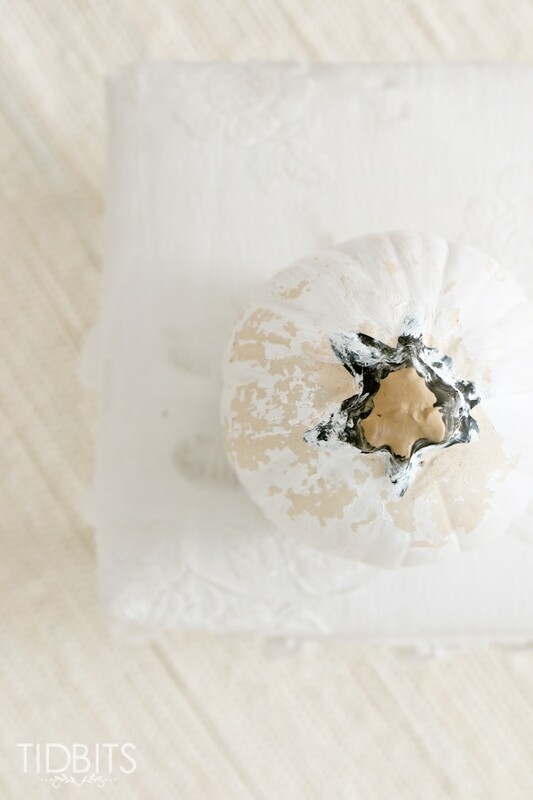 I used an off white faux pumpkin bought from Joann’s Fabric Store. 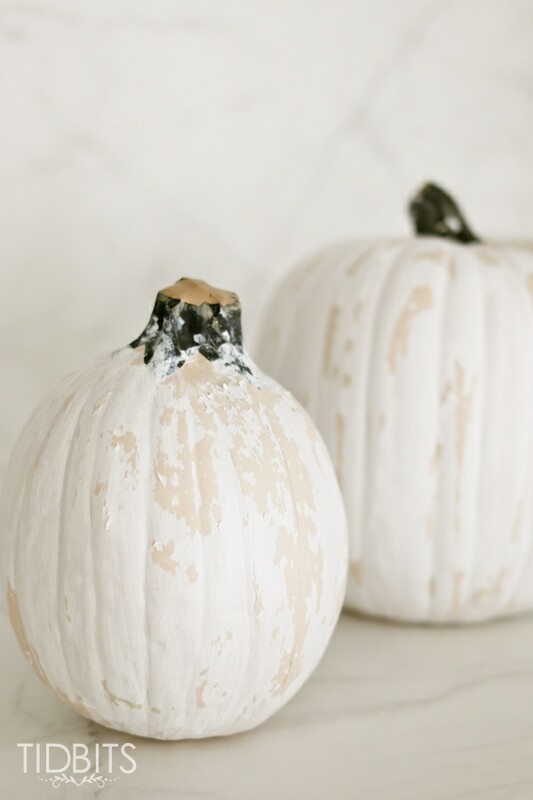 When choosing the color of your pumpkin, note that the base color is the color that will be seen under the paint chips. 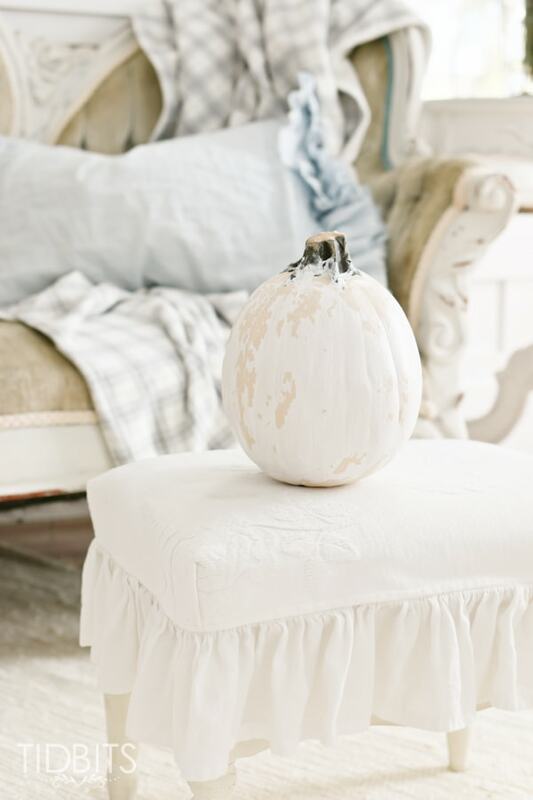 Real or faux pumpkins will work just fine. Acrylic craft paints work perfectly. 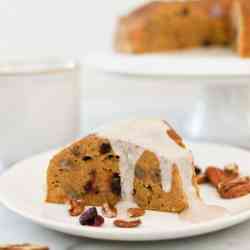 Start with a nice and clean surface on your pumpkin. Choose which color(s) of paint you will be using. 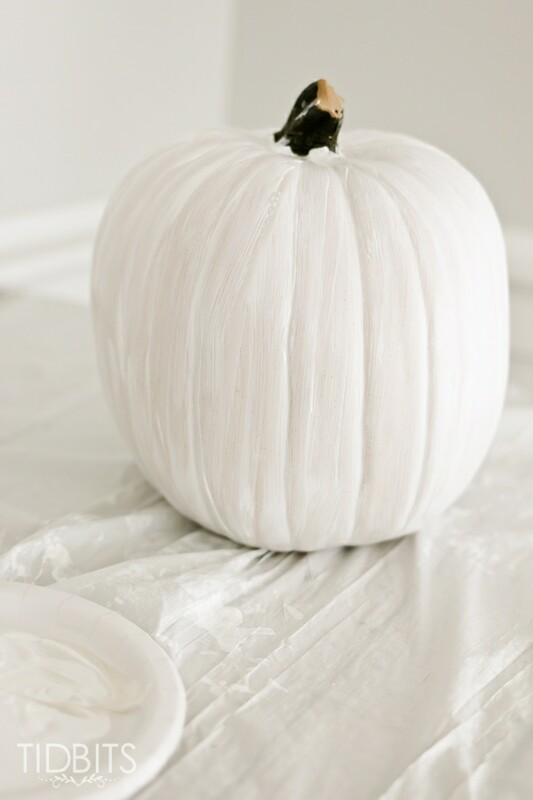 Begin by giving the pumpkin a first coat of paint. Rather than letting it air dry, speed things up with a blow dryer on high heat. 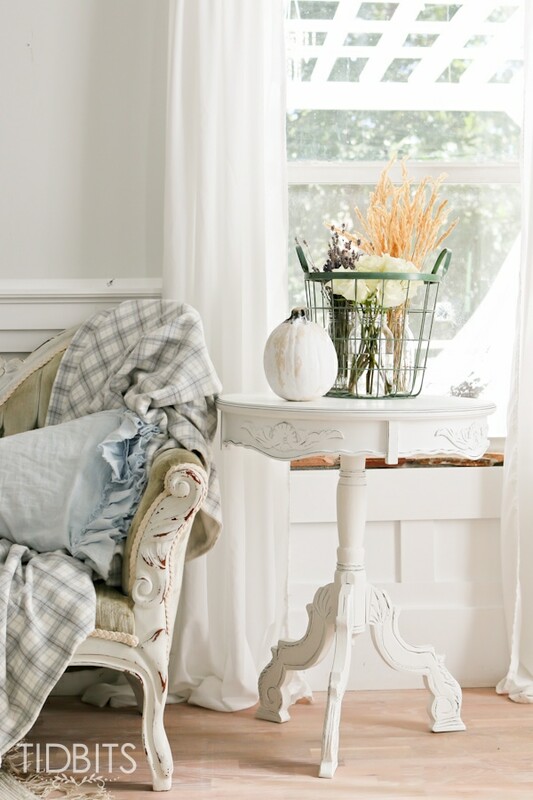 This will make the paint dry, but not cure and will leave it a tad bit tacky still – which is what you want. 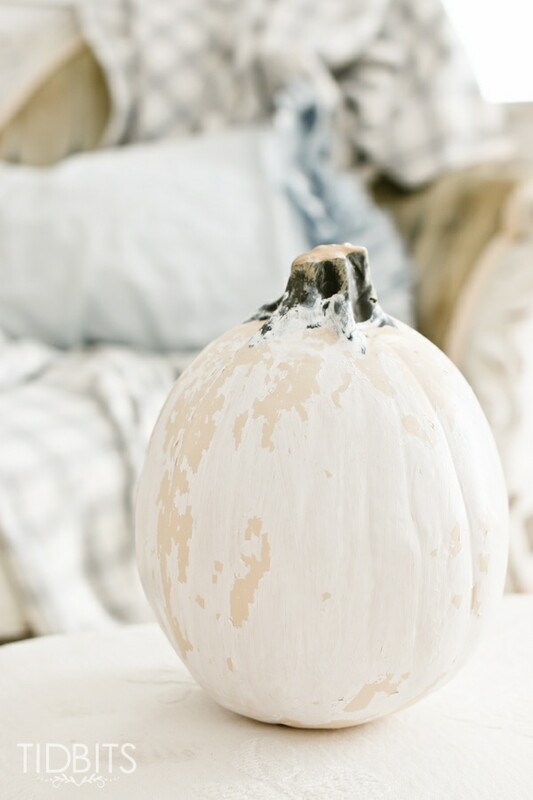 Give the pumpkin a second coat of paint and proceed to blow dry it as well. Get it just dry enough that when you touch it, no paint remains on your finger. 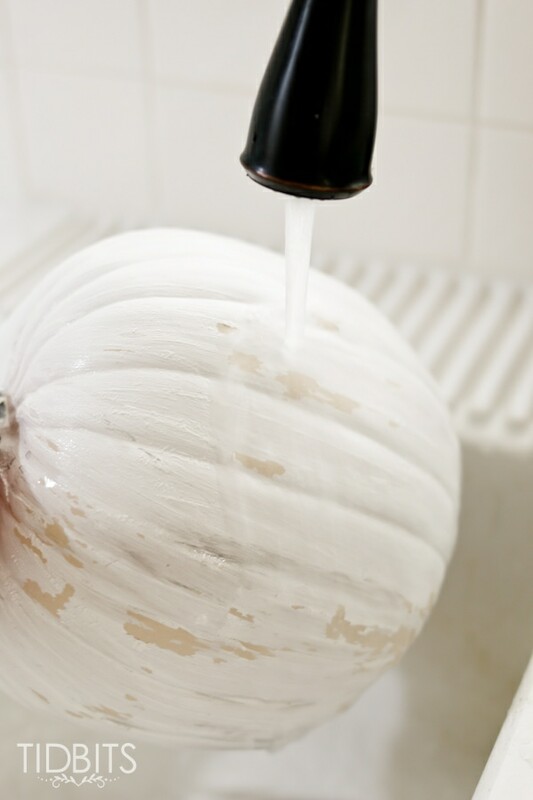 Then all you will do to make the paint chip, is take it over to the sink and run some water over the surface of the pumpkin. Start with the water running slowly, and then watch carefully to get just the right amount of chip you want off the pumpkin. In some areas, I liked to run my hand over the pumpkin as the water was running off, which aided in the chipping process. You might notice this will even leave some nice crackle to the surface as well. You can let it dry naturally at this point, or hit it with the blow dryer again. That is all there is to it! 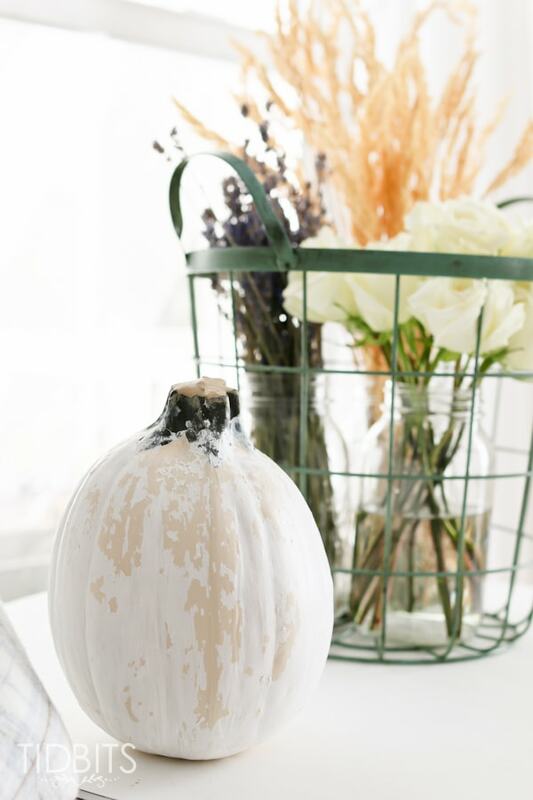 You can now embrace the perfectly imperfect nature of your chippy paint pumpkin! 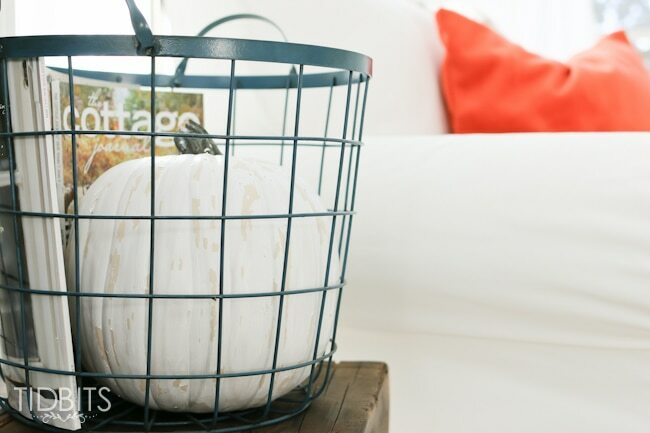 I hope you enjoyed this tutorial, and I’d love to have you take a look at other Fall crafts and spaces I have for you. 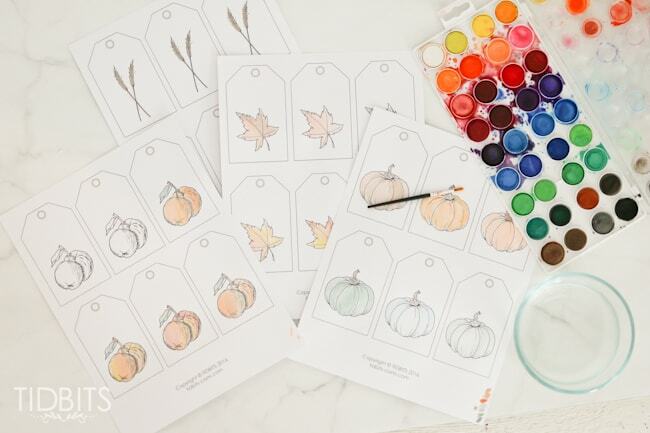 You might also enjoy starting with these FREE printable watercolor tags, where I leave the watercolor activity to you! I love these chippy pumpkins! Such a great idea!